Polioptics - Bill Simmons and Louis C.K. talk Boston, Newton even! Bill Simmons and Louis C.K. talk Boston, Newton even! I wasn’t planning adding another post before the July 4th holiday. But since my Twitter bio says “Bostonian making his way in Manhattan,” I was out for a jog on the Hudson River Park, catching up on Bill Simmons’s “B.S. Report” podcast from ESPN, and was treated to a memory-stirring conversation between Simmons and the great comedian Louis C.K. It was worth a few extra paragraphs before I get on the West Side Highway and begin making may way up to the Mass Pike and the platter (or plattah) of Barry’s Deli cold cuts that await in Mom’s kitchen. The conversation between Bill and Louis, which lasted over an hour, touched on many moments that skirted my own upbringing in the Boston suburbs. It’s worth sharing for anyone, like me, who took the Green Line in from Waban and used a fake I.D. to get into the Comedy Connection to watch Steven Wright back in the early days. You can find the podcast at ESPN here or via iTunes here. Watching closed-circuit boxing bouts at the old Boston Garden. The Boston comedy club scene in the 1980s. For the better part of a decade, the Comedy Connection was our most frequented destination downtown, accessed through dogged determination. A tour through Boston’s famed “Combat Zone” from two guys who knew all the names (at least) of the most notorious clubs. Louis bringing his Third Season of “Louis” on FX (Thursdays at 10:30 pm) back to where it all begin, his boyhood home in Newton, where the cops cordoned off his street during filming. 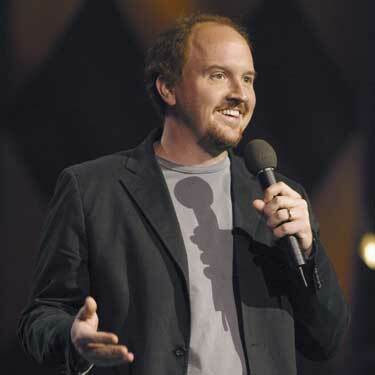 An extended colloquy on the business of modern comedy, in which Louis C.K. is breaking through boundaries by selling concert tickets directly to fans, eliminating the middle man and keeping costs down. I must credit my old friend Jonathan Prince (episode 61) who, a few weeks ago, urged me to give Louis C.K. a closer look. I haven’t been disappointed, nor will you. Happy July 4th everyone — this makes good listening if you’re out on Kezar Lake pursuing large mouth bass on the end of a hook. I’ll be there soon.